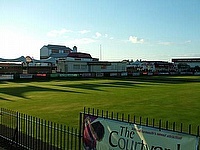 Dennis & SISIS concluded their 2011 series of educational events with the recent Groundsman cricket seminar at Essex County Cricket Ground. With Stuart Kerrison, Head Groundsman at Essex CCC, as the host, the programme took on a slightly different format to previous seminars as it extended into the evening and included a floodlit tour of the ground. 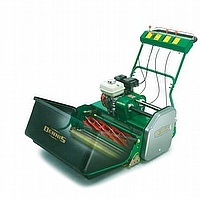 Dennis and SISIS are renowned for their innovative, high quality British-built turfcare machinery and at BTME 2012 will present a range of products ideal for golf and other fine turf applications on stand A4. Course managers looking to impress greens committees with a high quality purchase will find their needs ideally met by the FT510, featuring Dennis's industry-leading cassette system. Racecourse parade rings are the sport's shop windows where punters pick out their fancy for the forthcoming race and connections greet their horse to celebrate a victory. 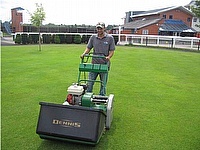 Thus turf presentation has to be exceptional, and Leicester Racecourse is enjoying a winning performance from its Dennis G680 walk behind cylinder mower. Hollyfields Bowls Club has an interesting history: bowls players from the Dunlop Tyre Factory at Erdington moved to the ground in 1998 when their own facility was lost during the company's rationalisation. The club had been run by former British Gas workers, but had recently been disbanded, so fortuitously the green was ready for new custodians. 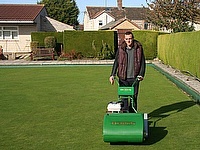 A Razor Ultra 560 bowling green mower from Dennis is proving a hit with the dedicated professional and amateur team who look after the green at Ewhurst Bowls Club in Surrey. Chairman and Green Steward Richard Tabor explains that the top quality greens mower was chosen for its ease of operation, precise cut and superb finish. Northumberland Golf Club has been named as an open regional qualifying course from 2013, and the Dennis FT510 walk behind cylinder mower is a vital component of the preparations. The course, which originates from 1898, is a mixture of parkland and heathland, and was designed by James Braid and HS Colt. Mowers which can perform a multitude of tasks and can be used outside the main grasscutting season make a cost effective purchase, and Dennis FT and G series pedestrian cylinder mowers really deliver when a multi- purpose machine is needed. The most popular Dennis machine, the FT is designed with interchangeable cassettes which give the option to fit 11 different heads including two sizes of scarifier, verticutters, brushes, spikers and slitters as well as five or nine blade cutter cassettes. 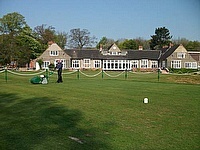 Celebrating its centenary year in 2012, the club originally focused on croquet, but now has 116 bowls members. Maintenance of the greens is handled by contractors in the winter months, starting with renovation at the end of the season, and continuing with scarifcation, spiking and reseeding to prepare the playing surfaces for the new season. 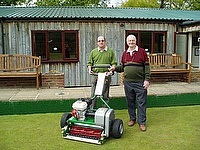 In April, a â€˜greens team' from the club's membership takes over, including 2011 captain David Cruddington, working to a rota under the direction of greenkeeper Bill Bunn. 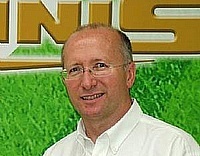 Dennis Mowers has opened a joint venture sales office in Russia, promoting and selling Dennis products to football clubs, landscapers, golf clubs and other sports facilities in the region. Covering sales, technical support, service and spare parts, the St Petersburg office gives Russian customers an enhanced service as they can deal with Russian speakers and the full range of marketing literature plus a dedicated website also available in Russian. Ian Howard, Managing Director of Dennis is delighted to announce that as from 4th January 2011, SISIS has become a division of Howardson Ltd, alongside Dennis. 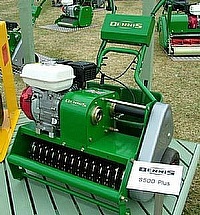 SISIS, based in Macclesfield Cheshire, is a long established manufacturer of professional grounds maintenance equipment for natural and artificial surfaces. 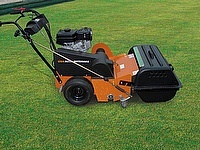 Superbly balanced and ideal for golf greens and tees, cricket pitches and other fine turf surfaces, the Razor features a 560mm (22in), 11 blade cutting cylinder for a perfect finish. An ultra short wheelbase ensures easy maneuverability and excellent performance, even on undulating greens. â€œWe understand that groundsmen and greenkeepers are highly skilled individuals with personal preferences on how they do their job. 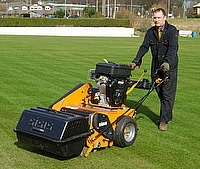 Following on from a successful series of seminars in 2010, Dennis Mowers is now focusing its attention on the specific needs of Cricket groundsmen. 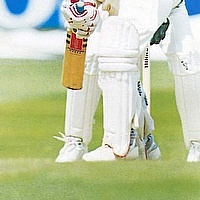 Hosted by Uxbridge Cricket Club, in conjunction with Dennis and Cricketworld, the specialist seminar will take place on Thursday 10th February 2011 (9.30am registration). 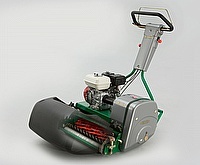 Following on from a successful and exciting 2010, Dennis will kick-off 2011 by displaying their range of British manufactured, high quality professional groundcare products on stand A4 at BTME. Favoured by many of the country's top sporting venues, local authorities, contractors, gardeners and local clubs, the range has been developed with continual customer feedback. Against the backdrop of the â€˜Golden Mile' and expansive sandy beaches, a Dennis FT610 mower is hard at work keeping Great Yarmouth's Britannia Bowling Greens in tip top condition. 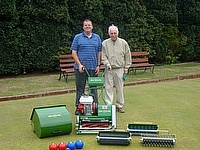 The greens maintenance team at Great Yarmouth Borough Council, who look after seven greens in total, have their work cut out during the month of September, when the popular seaside resort plays host to The Festival of Bowls each year. Dennis shows its commitment to meeting customers' needs by unveiling the new Razor Standard at Saltex. 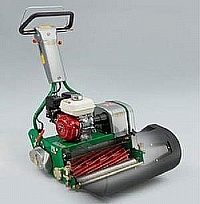 The Dennis range of British manufactured, high quality, professional groundscare products, meets the needs of groundsmen, greenkeepers and gardeners who often have highly individual requirements.